Have been wanting to paint this scene for a while now. I pass it often. I love the tall buildings that scatter and climb the hillside with the castle keeping watch over the town. 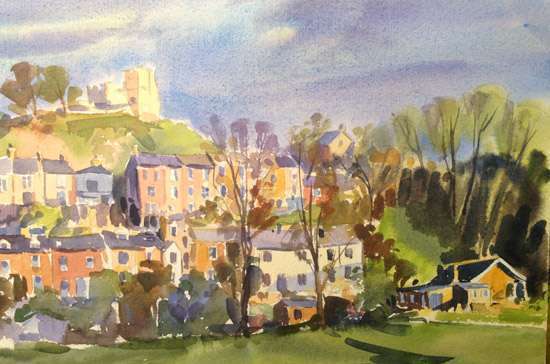 Lewes is a great place to visit full of art, music and inspiration.